I loved the adventure game "The Shivah" because it was short, crisp and enjoyable. Read on to find out why. 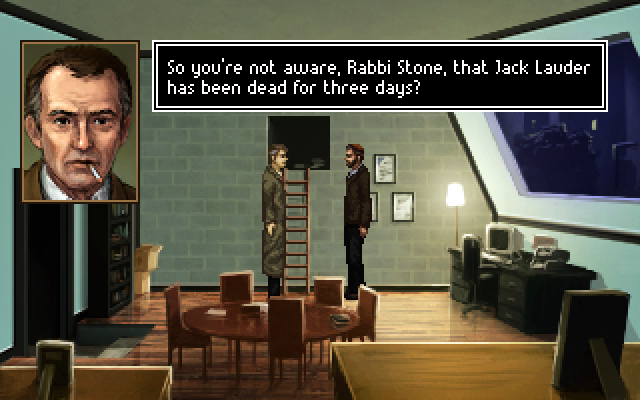 The game follows the adventures of a rabbi who is accused of murder. The game follows his attempt to clear his name. I'm not religious but I still enjoyed seeing through the eyes of the characters and sympathizing with them. The plot was well done and your choices can cause the game to end in failure. 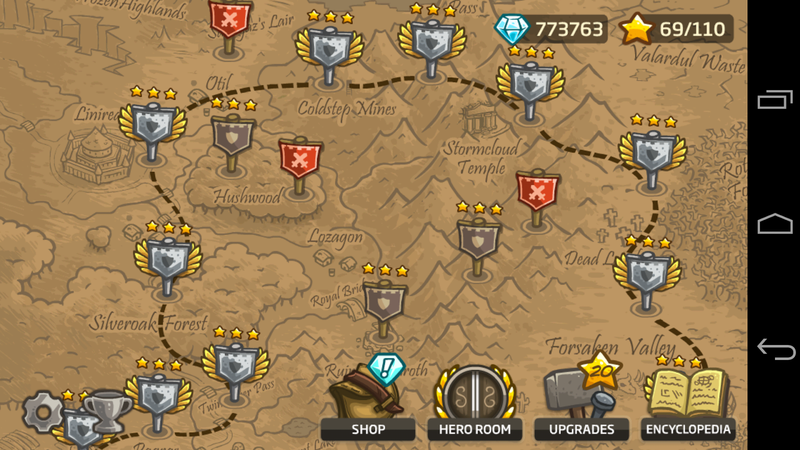 Luckily, the game allows you to learn from you mistakes and weaves this superbly into the story. Adventure games have a long history. This genre includes popular games such as "Monkey Island" where you are a fierce pirate in a whimsical land filled with colourful characters. Most adventure games started out in the early PC world, and their keyboard/mouse control and game layout reflect this. The Shivah is an adventure game with evolves the genre with many subtle refinements. The second refinement is in the choice of dialog. Instead of choosing the exact words you speak, you choose your mood: stern response, nonchalant response, etc. This works very well. Unlike other adventure games, you can choose the wrong response and end up in failure. So you need to think while responding. This also works well. The game is also short compared to a classic adventure game. This works well for me, I spend less time with games and still get a sense of achievement. A tasty nugget is better than a bowl of insipid mush. I played it on Android: the graphics are gorgeous and the on-screen controls are responsive and intuitive. The dialog has well done voices and fitting background music. It is more fun on a mobile device while you are on the go and have a few moments to kill. Highly recommended. Just two dollars on the Android Play Store. 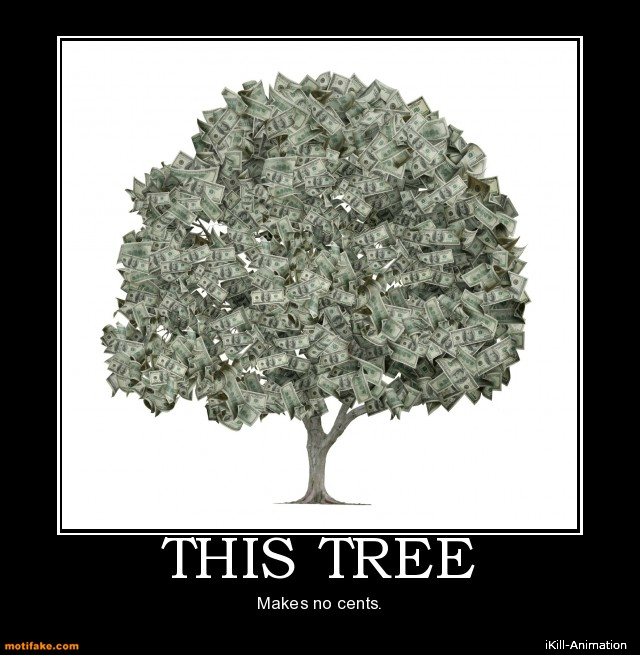 Worth every cent. Want to have some fun programming? Pick up Basic 256, a BASIC interpreter that runs on your system. Programming is fun, but introducing someone to programming can be difficult. 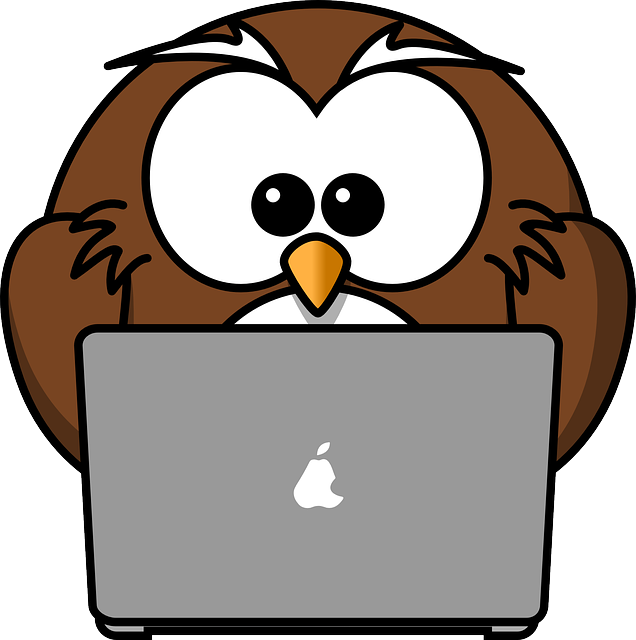 Even a simple program requires a lot of background knowledge, and it takes a long time to write something useful. Most new programming languages require a great deal of understanding: a simple line like 'import string' in Python is devilishly confusing to a child. Most programming books today aren't fun anymore, and that is a real pity. Programming can be as enjoyable as playing with Lego, except that you never run out of bricks and no laws of Physics limit your structures. That's all there to it: a child could do that. It has support for drawing graphics, accepting mouse input, synthesizing music, and more. The best part is that it is accessible: someone with no programming background could sit down and have a good time modifying programs they find online. An excellent book: So you want to learn how to program? by James Reneau. The book is available free online, as an inexpensive PDF online, and also as a paper copy. 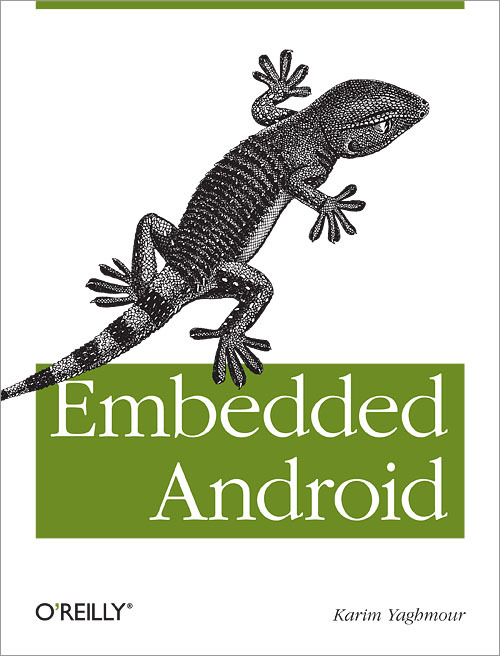 I have read through a few chapters: it does a great job at introducing programming in bite-sized chunks of fun. A collection of copy-and-paste examples. This is a great collection of simple programs that do something concrete. Complete code samples like this are a great way to see how something works end-to-end and learn by taking things apart and modifying them. In addition to having everything I remember from my early BASIC days, Basic256 has support for networking, databases, fonts, and a lot more. And it is available to download for free. It is a marvellous resource when showing children real programming and in getting them started with programming. I had blogged earlier about a simple program to allow children to use a computer without any supervision. That program shows alphabet and numbers and lets the child freely explore a keyboard. A few weeks ago, my son showed an interest in using the mouse. I looked at a few programs meant for children. The best among them was TuxPaint, which can be put into full-screen mode and allows a child to draw using a mouse. However, for my two-year old, Tuxpaint was still too difficult. 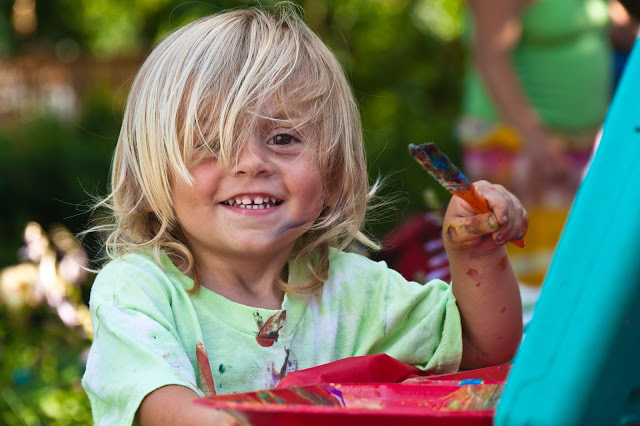 My son would click on the palette or the tools by accident and it was frustrating when his paintbrush went away, or the color of the pen changed accidentally. Also, the distinction between a left click and a right click was frustrating for him. It took a lot of patience to tell him the difference between the tools, the canvas, the color wells, all the while teaching him to use the left mouse button. So I learned Qt programming and wrote a very simple program that allows a child to draw using a mouse. It accepts no keyboard input and treats all mice buttons equally. 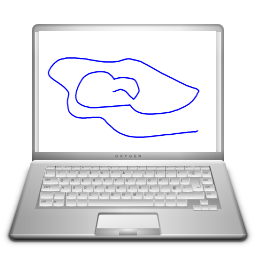 You click to start drawing and move the mouse to make a free-formed line. The line ends when the mouse button is released. Well, it does accept very limited keyboard input that is difficult to press accidentally. There are a few hotkeys: Ctrl+Alt+t toggles the menu-bar and there you can see the other actions and their shortcuts. Changing pen width and color is supported even when the menu is not visible. You can quit the program using your platform-specific quit keystroke. The program borrows heavily from the Scribble example in the Qt documentation. As a result, this is a good starting point into Qt programming: the code is easy to understand and modify. As a starting point, you could try changing the initial thickness of the pen. The source code is on github. You need an environment capable of compiling Qt applications: this is possible for Mac, Windows and Linux. You can run 'qmake && make' or you could load it up directly in a program like QtCreator. I had blogged earlier about Qt Creator, it is a freely available IDE. Precompiled Linux binaries for 32 bit and 64 bit are available. A precompiled EXE file for Windows is also available. You need to get Windows libraries which are rather big at 20Mb. These libraries have to be kept in the same directory as the EXE file. I don't update binaries frequently. If you can, the source is the best option. And here is a screenshot of the program in action. It looks like this on every platform. 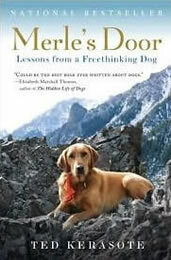 Merle's Door is a fantastic book about a man's relationship with his dog, a lovely description of the outdoors, and a rethinking about man-pet relationship. Read on to find out why. I read Merle's Door because my wife loved it, and highly recommended it. It starts out promisingly with a story of how Ted found Merle and how they had to adapt to life together. It goes on through Merle's life and passions, and how Ted and Merle became one cohesive group. A few ideas stick out from this book. I'm not sure these are new ideas, but this is the first book I found them. The first is the remarkable camaraderie between Merle and Ted. Not only do they enjoy each others company, but they also have a more understanding relationship. The book is written from a dog's perspective as much as it is from a human one. At times this can get laborious as numerous online reviews point out. I understand the human urge to dislike Ted foisting human feelings on his dog. There were places where I wasn't sure what Merle was feeling and it felt excessive to force his feelings on the dog. But all writing employs some amount of guesswork of others' feelings. In total, the portrayal was delightful and refreshing. The only part which dragged on was Merle's last few days. Ted has written it as a painfully detailed diary, which was too painful and too detailed. I wish this section was concise, but I'm sure other readers love the detail. This book also makes you think about the life of a dog in the city. Ted's dog had a large area he could run freely in, which is very different from most domesticated dogs. Illustrating from examples, Ted shows why a dog would be miserable in a confined area like an apartment, even if it had a generous yard. If you have ever enjoyed playing with a dog, get this book. This will give you a fresh new perspective on what a dog's life must be like. "Revolution in the Valley" is a heart-warming account of early computer engineering in the Silicon Valley. It recounts the work of the hardware and software engineers behind the original Macintosh. Read on to find out why I loved the book. I have read over a dozen books about the original Macintosh. I never used the original Macintosh or the Apple II but I am impressed by the ideas that those computers popularized. 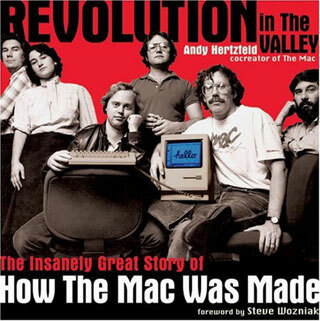 The book "Revolution in the Valley" by Andy Hertzfeld is the first account that I identified with. Andy was a software engineer, a co-creator of the original Macintosh. I am a software engineer as well, and I got a better understanding of the project through his narrative. The book is a collection of stories that are online at Andy's website Folklore.org. You don't need to buy the book, but I would recommend the book for two reasons. First, the book is loosely chronologically arranged. You can see the journey as it happened, all the way till the launch of the Macintosh and the break-up of the original team. Second, the book is filled with lovely illustrations and images of the original team and the developer's notebooks. After reading the book, I was filled with a deeper appreciation of the original Macintosh team. They worked in a very different engineering environment, and yet produced something exceptional. It is unlikely that their success can be repeated. Making a computer today requires a lot more effort, and the barrier to entry is much higher. The Mac team was a rare combination of talent, idealism and determination that is also difficult to recreate. Andy shows you some of the design decisions and the reasons behind them. As an engineer, it was a wonderful read. I was filled with conflicting feelings at the end of the book. I doubt I would have survived Andy's experience. They had terrible management, were poorly compensated, and were overworked. While the original Macintosh was made during a time of bravado, I'm glad that software engineering is a much more mature field now. Software management is better, co-workers are smarter and more numerous, and the general demands of the job are better understood.